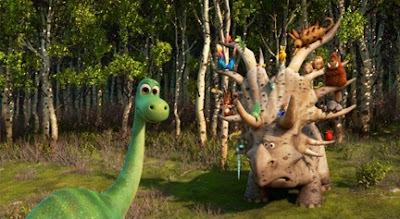 The family friendly The Good Dinosaur movie from Disney Pixar won't be released till Thanksgiving. Still, I wanted to whet your appetite now for what looks to be a deliciously wonderful animated adventure coming to the big screen on November 25, 2015. 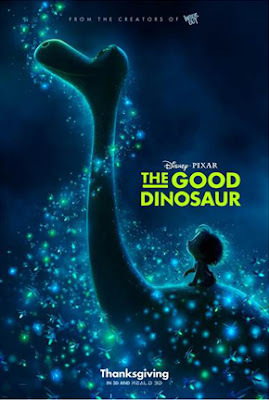 The Good Dinosaur is all about the flipside of what might have happened if that asteroid missed colliding with Earth and dinosaurs were still alive today. Learn more about this upcoming major Disney Pixar motion picture release by visiting the official website as well as following the brand on Facebook, Twitter and Instagram. FTC Disclosure: I did not receive any payment or other compensation in connection with this post and Disney Pixar provided all images in this post. See complete FTC Disclosure information that appears at the bottom of MommyBlogExpert's main page and at the bottom of every individual post on this blog, including this one. I love reading your reviews. I'm not a TV person so when the little ones visit I can make suggestions and they think it's so cool I know about this stuff. My children are a little too old for this one, but they loved dinosaur movies when they were young. I'll let my daughters who babysit know about it for some time when they're looking for fun entertainment. I have seen the trailer for this movie and it is one I really want to see. I don't have little ones any more, but I still love little kid movies.